The phases of life are usually, from birth, getting an education, working for a living, retirement and then whatever comes next! Of course this is not always the case as sometimes the grim reaper comes calling in before you even started to really live. I will not retire while I still have my legs and my make-up box. At the other side of the spectrum, there are those who are only too happy to go on working as long as they can; we have very dear friends who have worked all their lives, taking any kind of jobs along the way. They had just retired this year at the ages of 80 and mid-70. They are both hale and hearty, probably because of their industrious ways and keeping busy all the time. Peter and I attended a Retirement seminar a couple of weeks ago. 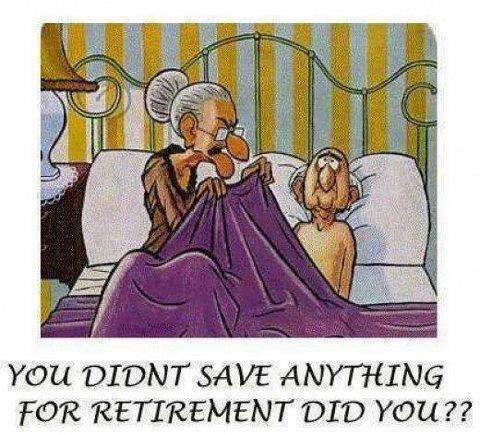 It was rather sobering to note that retirement is not all it’s cracked up to be. Apparently, retirement is not really a time for that perceived and imagined comfortable life in the sun overlooking the seaside. Retirement is just another obstacle course to navigate in one’s life. I’m retired – goodbye tension, hello pension! If you don’t look after your money, your money won’t look after you. The IFA conducting the seminar said that the number one foe of retirement is inflation. To start with, you might think that you have enough to live on, but can you still live comfortably in 10 years time when inflation has sunk its mighty claws into the basic necessities of everyday life? Peter and I just hoped that the IFA gave us a frigthener to ensure that we invest the tax-free cash, which is 25 per cent of the pension pot. But then again, he might have a point. The salaries in the last 5 years have not really gone up but the prices of food, water, gas, electricity and fare have gone up exponentially. These are basic necessities, things that we cannot do without. It was only mentioned during the seminar that state pension is under consideration. It is being mulled about that it should be awarded at 70 of age for both men and women and that they needed to have both worked for a minimum of 35 years each (or to have previously claimed benefits for 35 years). There are also the Inheritance Tax (IHT) to consider and most frighteningly, the dreaded Long Term Care. If not thought out properly the home you paid for with crippling mortgage will not pass to your heirs. Instead it could be forcibly taken out of your hands to pay for your long term care. Another thing to really think about!!! Making money is fun, but it’s pointless if you don’t use the power it brings. This time of year is the perfect occasion to start saving. Below are charts of how to start the money-saving; one in dollars and the other is in Philippine pesos. Just try to adapt it to your needs and liking. Easy does it. Not too much shock to the system so start low and when you have gotten used to the idea, it would be easier to increase the amount gradually. The only challenge to this endeavour is to keep at it. Keep it going. I shall definitely try this with my husband as we are saving for a trip to the Philippines next year. I shall be adapting it it to pound sterling! We all feel the pinch, unless you are a multimillionaire, at this present economic climate. It is therefore useful to find ways of saving and be more economical in order to overcome being stressed due to monetary problems. If you have a hobby, why not make it into a money spinner. Don’t go food shopping when you are hungry; hunger would make you buy all those biscuits and cakes which are not good for your waste or wallet. Instead of buying expensive gift wraps, why not buy a role of beautiful wall paper. It will go a long way. Give up chocolates, crisps, Bollinger, and smoking!